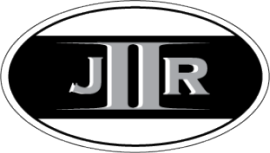 jIIr my effort to share back to the community that has helped me on my journey into the digital forensics and incident response fields (DFIR).This blog is a platform for me to share my experiences, knowledge, and research about DFIR and information security. A little background about myself, for my current employer I manage the enterprise-scale incident response capability to detect, respond to, investigate, and remediate security incidents. I also manage the SIEM system for detecting malicious threats within and against my employers network. Some previous work includes: performing vulnerability assessments against NYS public sector organizations to identify and exploit weaknesses in their security management and network infrastructure. I have a MS in Information Assurance and a BS in Telecommunications. I have certifications but it's not necessary to list them.